Poster designed by the fabulous Dany who is currently somewhere in the sky on her way to Sweden! Could please someone bring name tags or some kind of tape you can write your name and nick on? Well, yes, it would help people to recognize themselves in the crowd. Please be aware that there is an admission fee to enter Leif’s Lounge. I’m not sure if it will be on August 13th. Anyway, I’ll try to be there. See ya! ‘we expect more than 25 somehow!’ -> You bet! 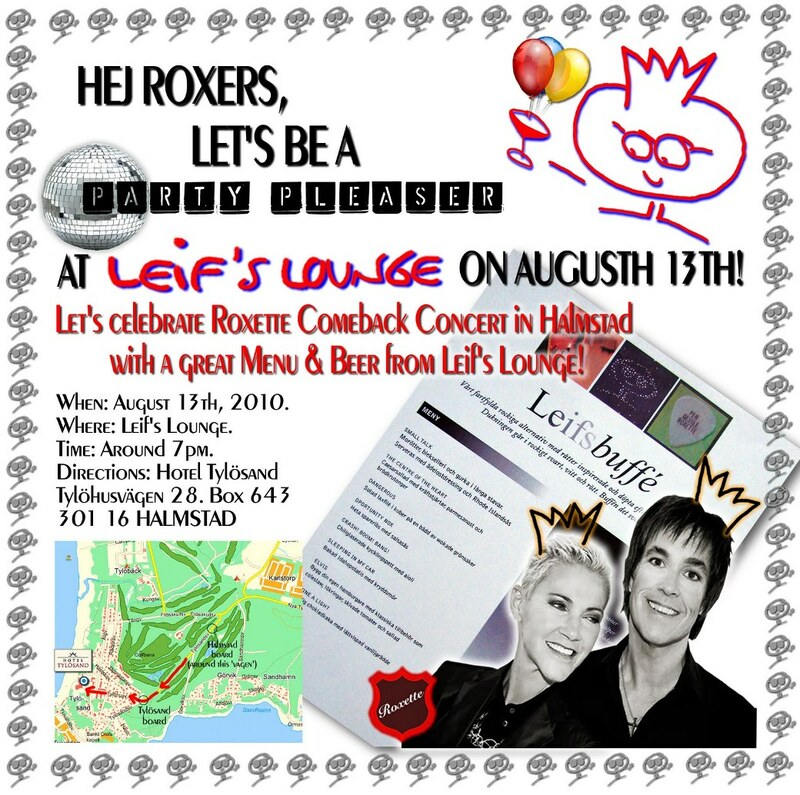 According to Judith we were informed there’ll be special Rox menu&music tomorrow at Leif’s, perfect for our fan meeting! See you there! Hi, we are coming from France especially for thé concert. 2000km by car, we are coming to halmstadt tomorrow and havé a room at thé tylosand hotel. I’ll wish we can meet other fans or french fans at the leif lounge. See ya!